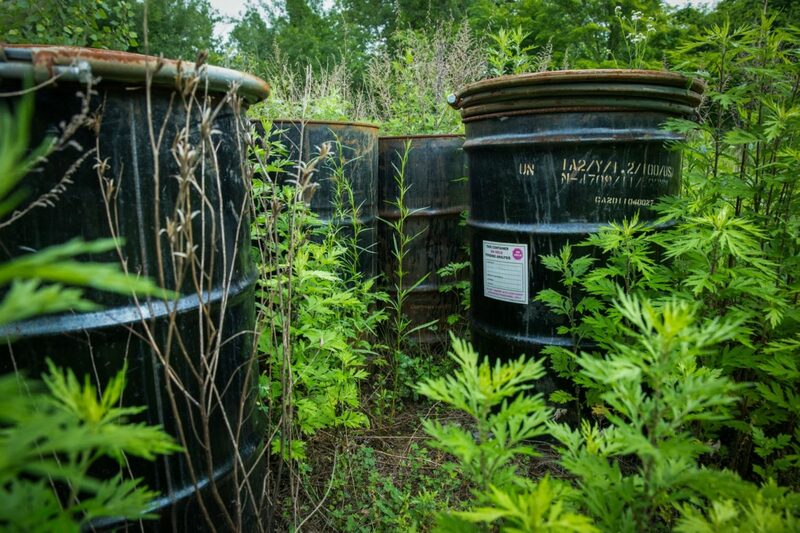 Barrels labeled "This containter on hold pending analysis" sit near the Ringwood Mines and Landfill Superfund site in Ringwood, N.J.
Troubled Water is a 30-minute documentary about drinking water contamination in the United States. The film explores nine locations across the country where water has affected people. Locations include an abandoned military base in Michigan, a colonia in Texas and Superfund sites in Oklahoma and New Jersey. A special investigation by the 2017 News21 team. This report is part of the “Troubled Water” project produced by the Carnegie-Knight News21 initiative, a national investigative reporting project by top college journalism students and recent graduates from across the country and headquartered at the Walter Cronkite School of Journalism and Mass Communication at Arizona State University.